These are professionally prepared skeleton mounts. 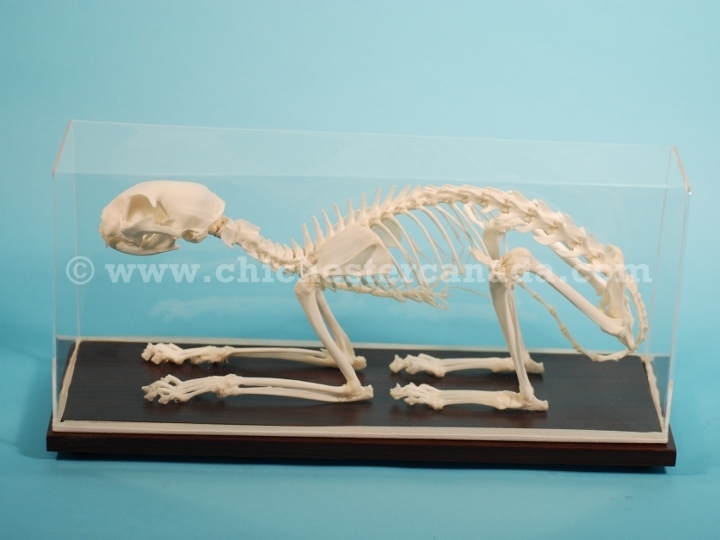 Each skeleton is cleaned and articulated in a natural posture on a wooden base with a removable clear acrylic cover. 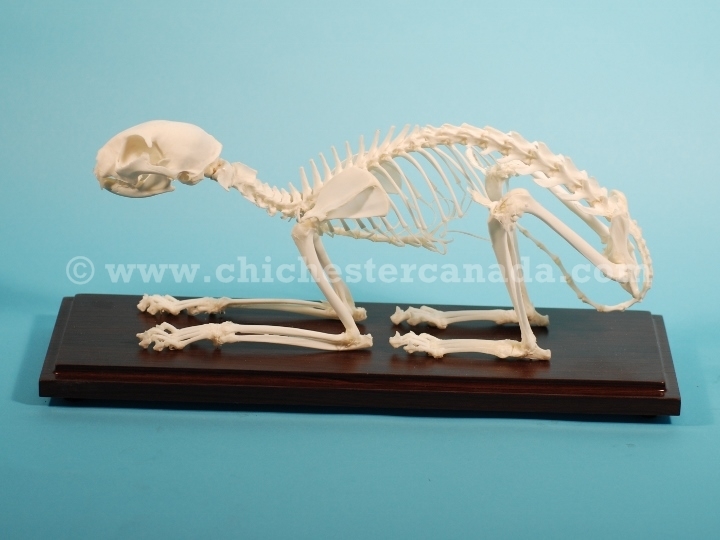 The cat skeleton measures 14" (35.6 cm) long, 3.5" (8.9 cm) wide, and 6.5" (16.5 cm) high. The case measures 16" (40.6 cm) long, 4" (10.2 cm) wide, and 8" (20.3 cm) high. Cats are not subject to CITES controls.